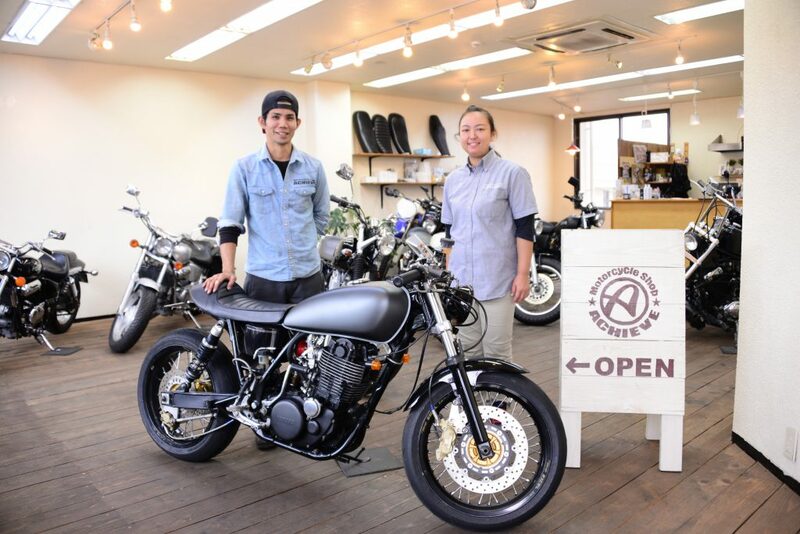 Share the post "The Trendy Motorcycle Shop in Okinawa (Oyama, Ginowan City)"
Did you know that ""street"" motorcycles are popular now? The ""street"" bike exudes a retro atmosphere and it has a typical motorcycle body. It is popular motorcycle and it is easy to ride. There are also many motorcycles with low engine power that are recommended for first time riders or for women. 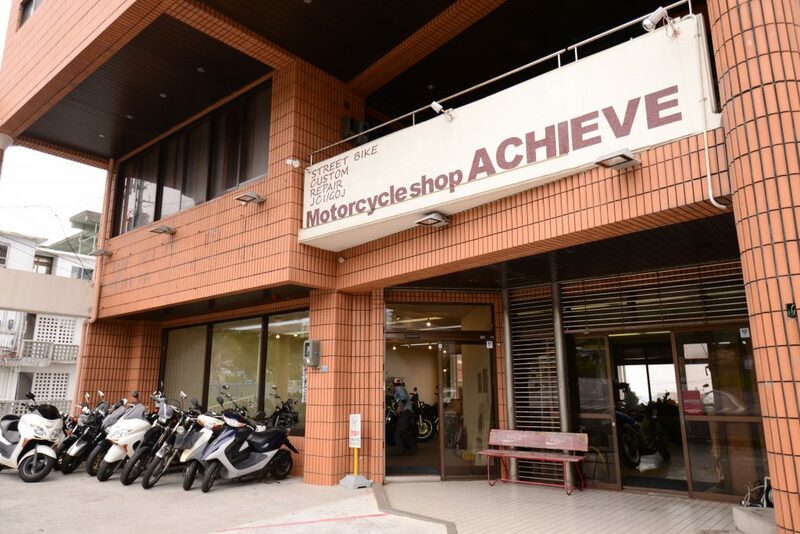 Motorcycle Shop ACHIEVE specializes in motorcycles. 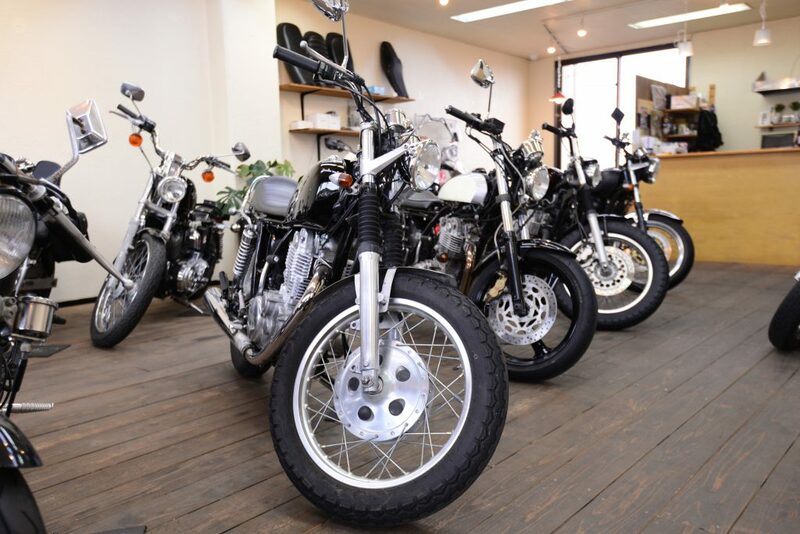 The biggest attraction of street motorcycles is the large variety of parts available! The greatness of motorcycles is that you can design your motorcycle to your liking. Motorcycles consist of many parts, such as tanks, sheets, handles, wheels, mufflers, etc. You can customize them for yourself and enjoy the ride. The parts are abundant. They are popular as a way to express your lifestyle and status. In addition, there are many types of vehicles with low engine power. A lot of models that can easily be purchased are also available and can be enjoyed easily. At Motorcycle Shop ACHIEVE, you can purchase one of the most attractive brand of motocycles called the YAMAHA SR. The SR is very popular in both normal and customized styles. Its classical design is popular. Not to be missed by those who enjoy custom-made motorcycles! In addition, we carefully teach you how to clean and prevent rust. There is also a pleasant security service that will tow for free anywhere on Okinawa Prefecture. Even those who are planning to purchase motorcycles for the first time are relieved. You can design your own preferences, images, and bikes according to your budget. Many people are unsure about how to assemble the engine because it is difficult for beginners. Purchasing a bike is difficult, too. However, we can show you a face-to-face teaching method on how to start the engine (kickstart)! If you pay attention and follow proper order and arrangements, then kickstart is not too difficult. 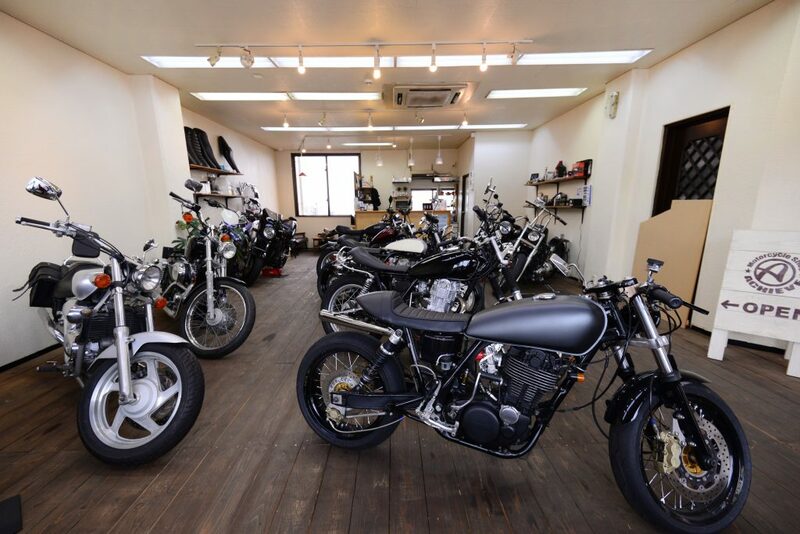 If you purchase at Motorcycle Shop ACHIEVE, we take care of ordering, coloring (painting), repair and inspection, as well as post-purchase aftercare. We also sell additional care items that are recommended as gifts. They come with our original shop bag. Bike life will always be part of your lifestyle. 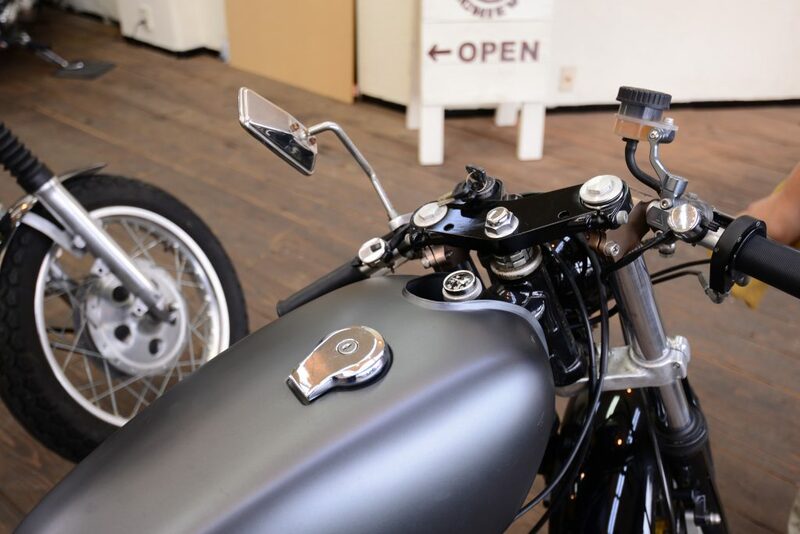 Now that there are an increasing number of people who enjoy motorcycing as part of lifestyle culture such as clothes and music, how about enriching bike life by customizing to your liking? Do not hesitate to drop in at the shop. Come see us first! The custom street motorcycle shop, for your pleasure. An original sticker gift.